It’s a year of full-screen smartphones. Xiaomi, Samsung even Apple have launched their full-screen smartphones. Now Huawei is taking part in this race. 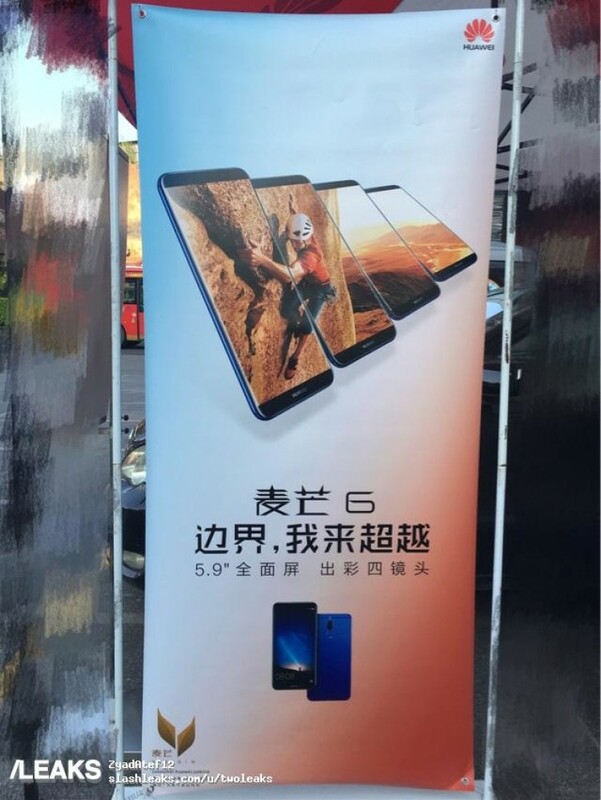 The company is all set to launch their full-screen smartphone Maimang 6 with 18:9 aspect ratio and minimal bezels. The company has officially released the teasers of their upcoming event which is going to held in China on September 22 at 2 PM China Time. The serial tipster Evan Blass also posted the press image of Maimang 6 a few days back. Today again another real life poster has leaked. Huawei Maimang 6 went through TENAA last week with the model no: Huawei RNE Al00As, which reveals almost all the specs. Maimang 6 is going to feature a 5.99 inch Full HD+ 2.5D curved glass display with a resolution of 2160 x 1080 pixels. The device will be powered by Kirin 659 processor SoC with Mali T830-MP2 GPU, 4GB of RAM and 64GB of internal storage. The storage can be expanded up to 256GB using microSD card. Coming to the camera specs, the handset will feature four cameras; two on the front and two at the back. 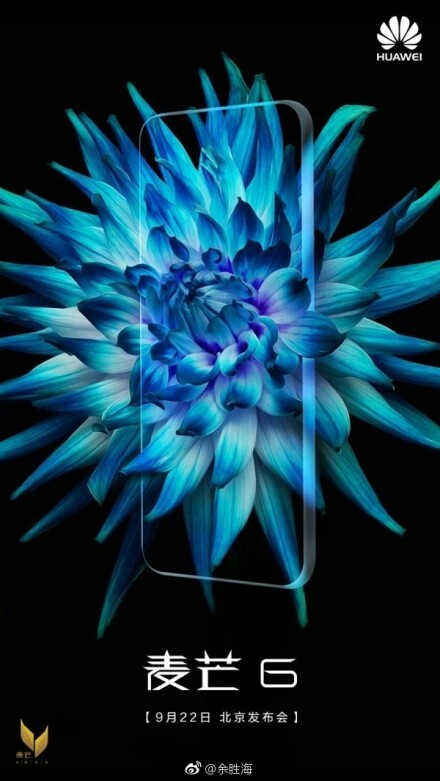 On the front, it will have 13MP+2MP dual camera setup. While at the back, the device will feature 16MP+2MP dual camera setup. To keep the lights on, the handset will come with a 3,240mAh battery. 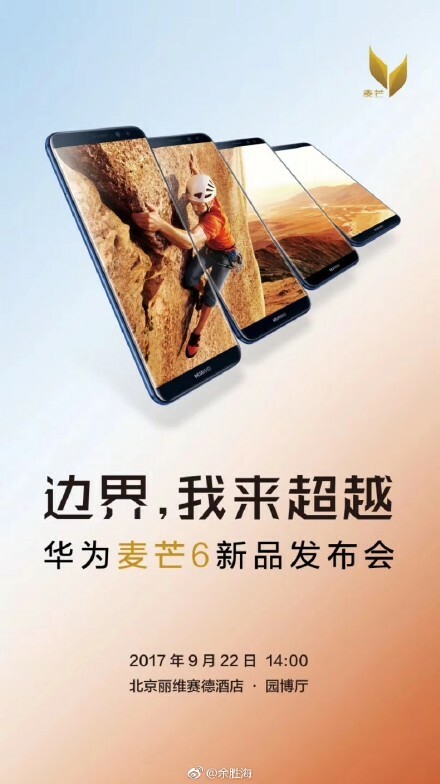 Huawei Maimang 6 is expected to come in Black and Blue colors. We have to wait until the event to know about the pricing and availability.